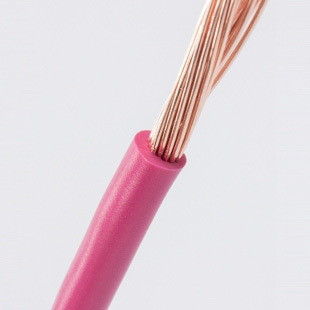 BVR fixed wiring flexible wire (ZR-BVR)_Asian Cable-Asia Electric Cable Technology Co., Ltd. Scope of application: Applicable to AC rated voltage of 450/750V and below, it is required to have fixed installation of electrician, instrument, telecommunication equipment, power device and lighting line with flame retardant occasion. Product Features: The long-term allowable operating temperature of all types of cables should not exceed 70 °C. Applicable to AC rated voltage of 450/750V and below, it is required to have fixed installation of electrician, instrument, telecommunication equipment, power device and lighting line for flame retardant occasions. The long-term allowable operating temperature of all types of cables should not exceed 70 °C. 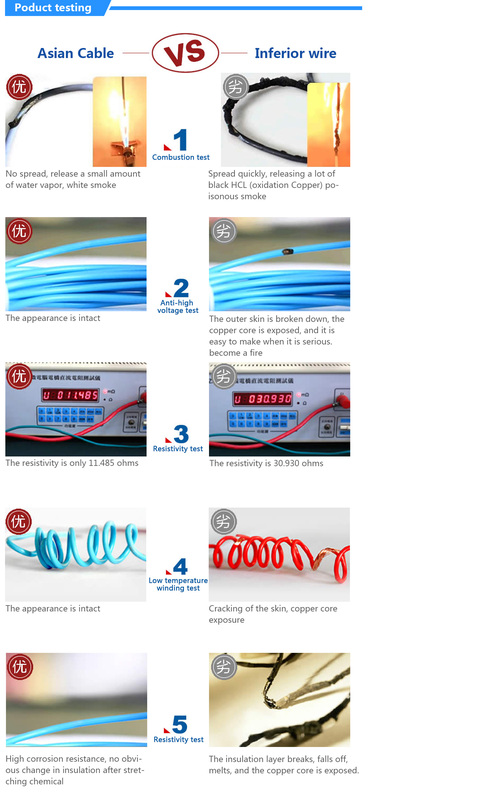 The laying temperature of the cable shall not be lower than 0 °C, the allowable bending radius of the cable with an outer diameter (D) of less than 25 mm shall be not less than 4D, and the allowable bending radius of the cable with an outer diameter (D) of 25 mm or more shall not be less than 6D. The insulation material and sheath material of BVR wire are all polyvinyl chloride. According to the different performance, the product can be divided into three categories: insulation, flame retardant and fireproof. Different classification uses are different. It is used for the fixed laying of electricians, instruments, telecommunication equipment, power equipment and lighting lines in flame retardant applications.